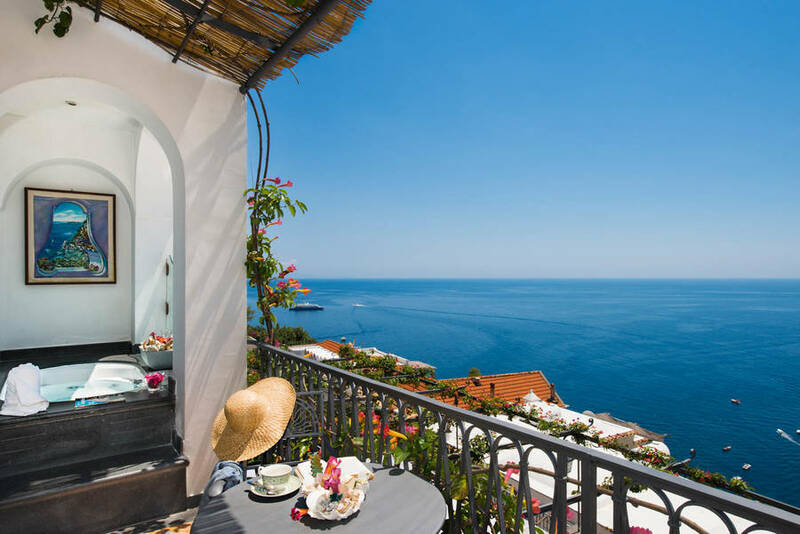 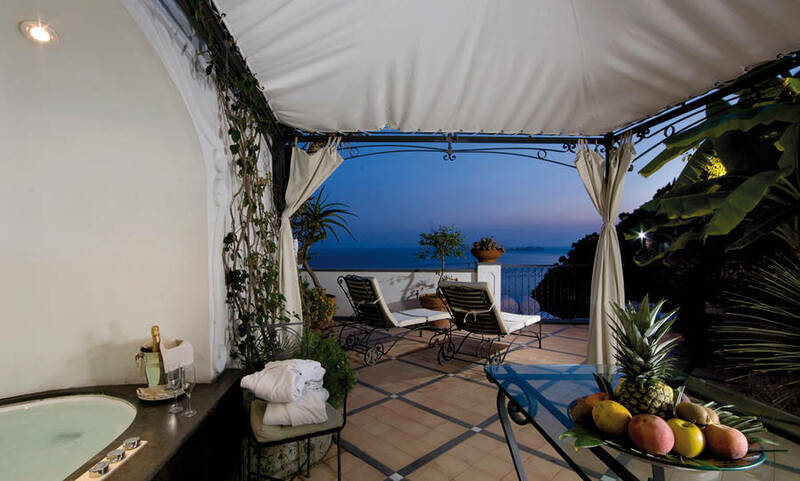 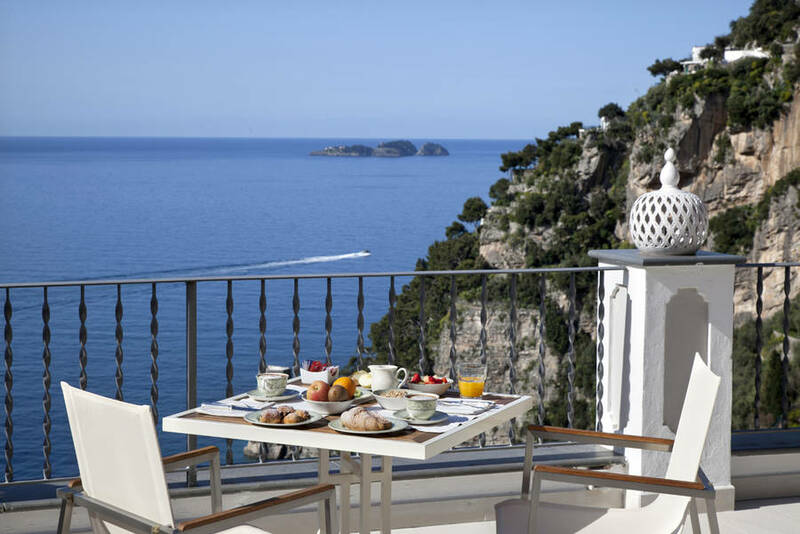 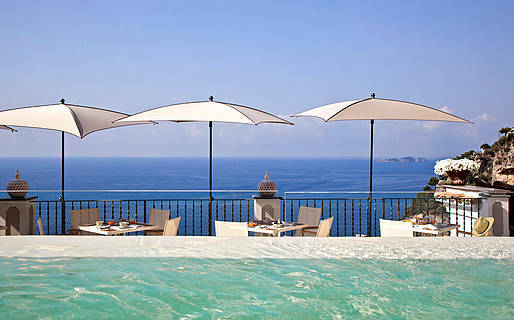 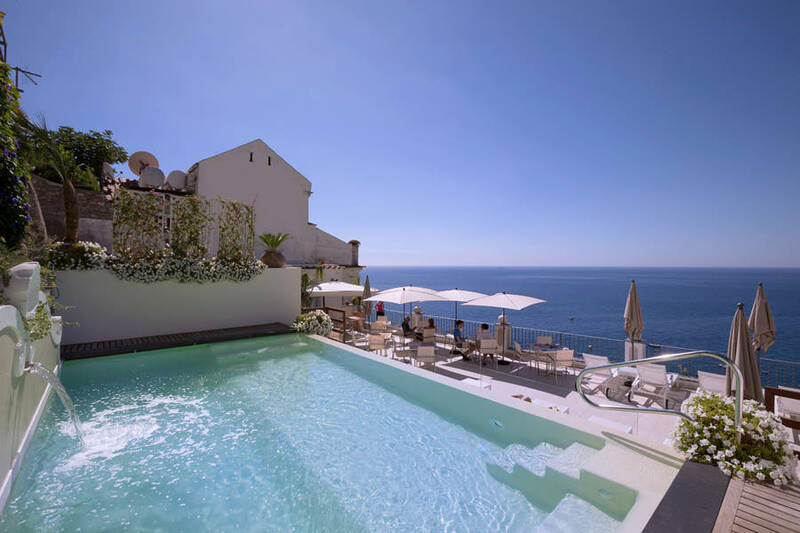 There are places, like Positano's Hotel Punta Regina, which have all the ingredients necessary for a dream holiday on the Amalfi Coast: graceful arches, high vaulted ceilings, flower festooned balconies and sweeping terraces overlooking a shimmering blue sea. 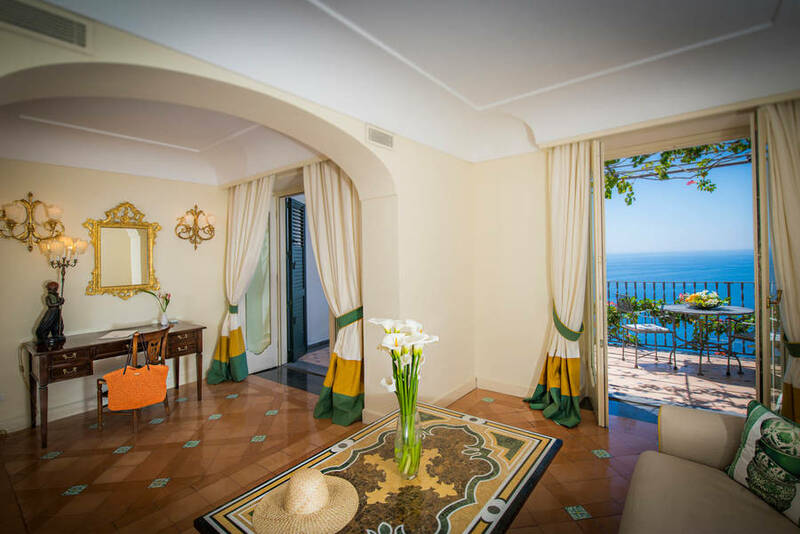 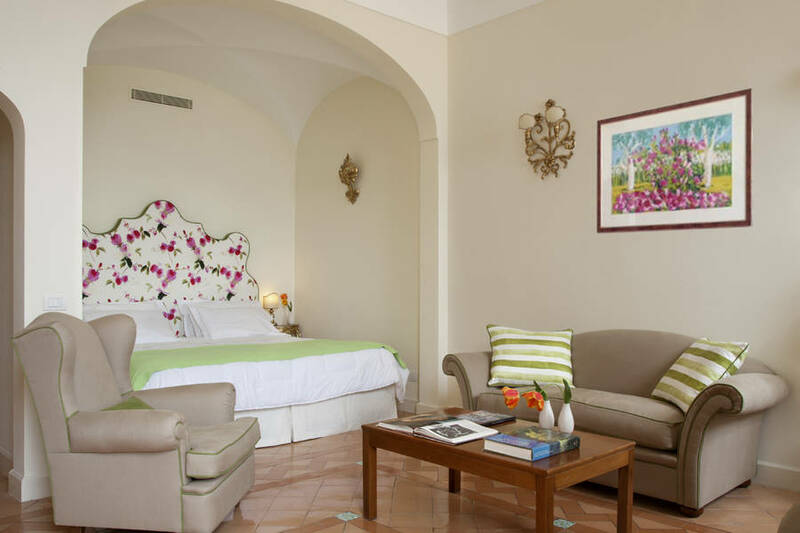 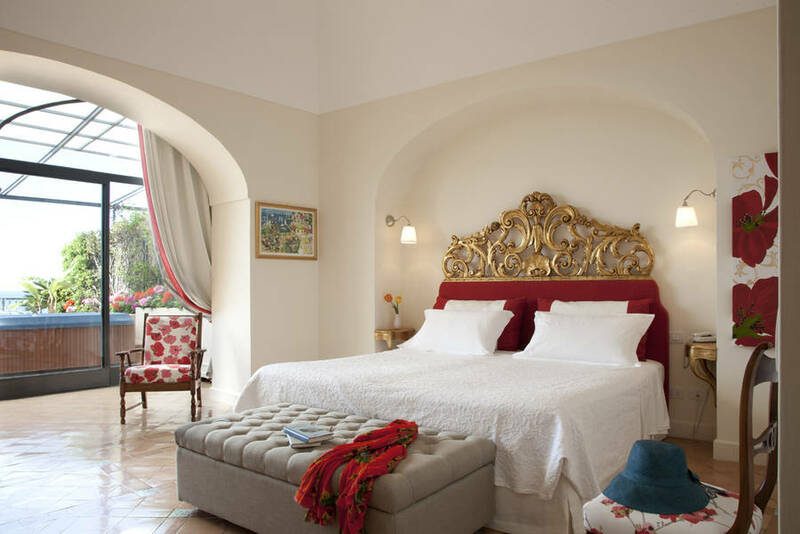 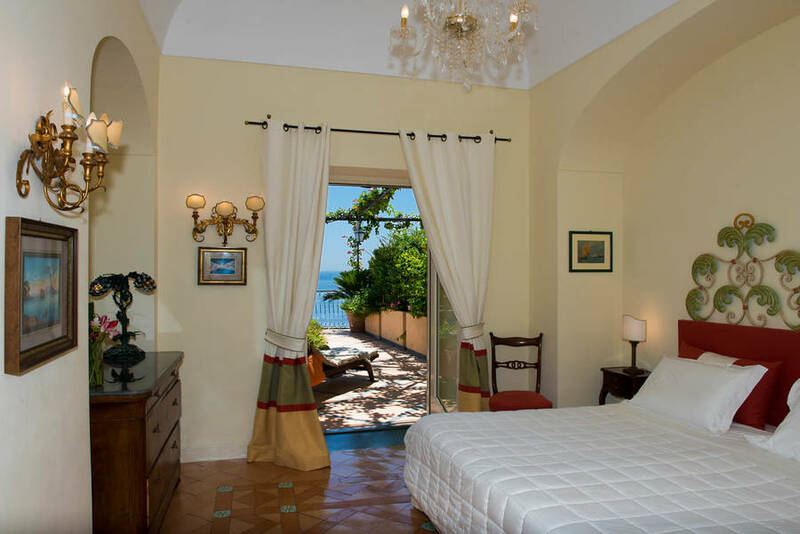 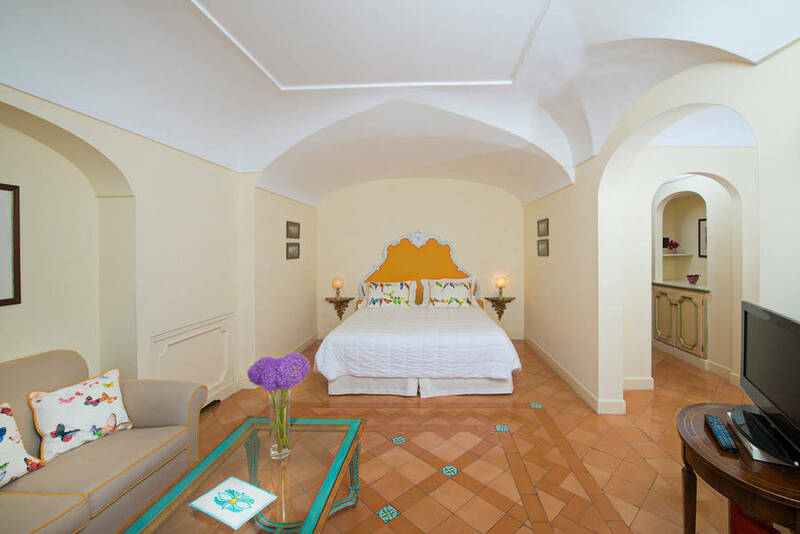 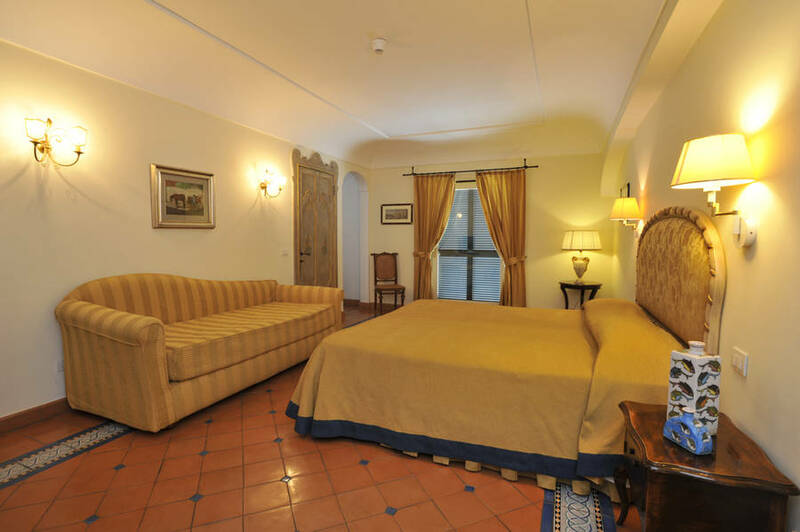 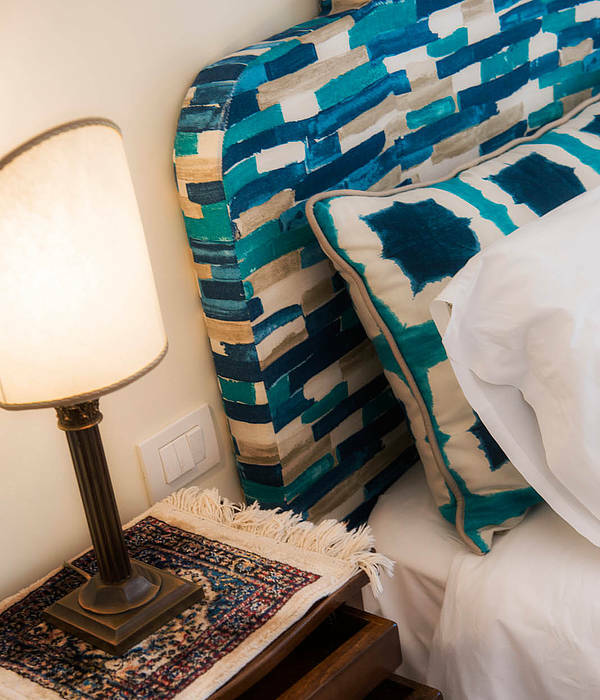 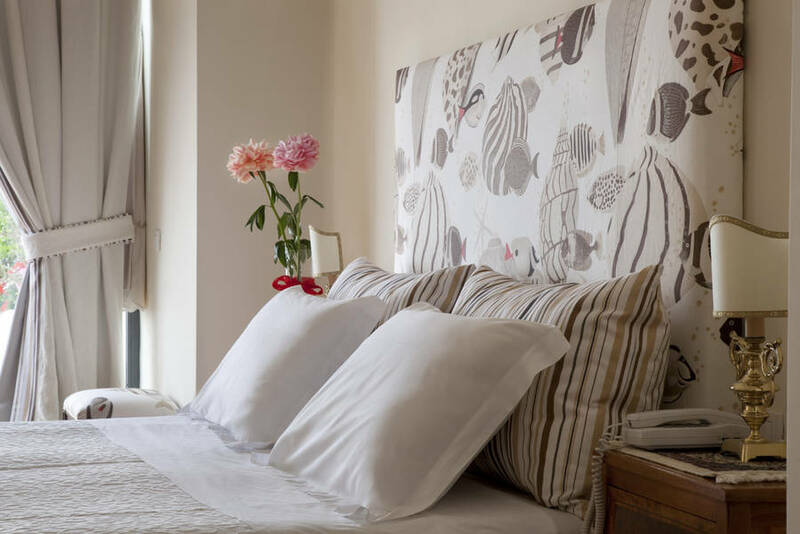 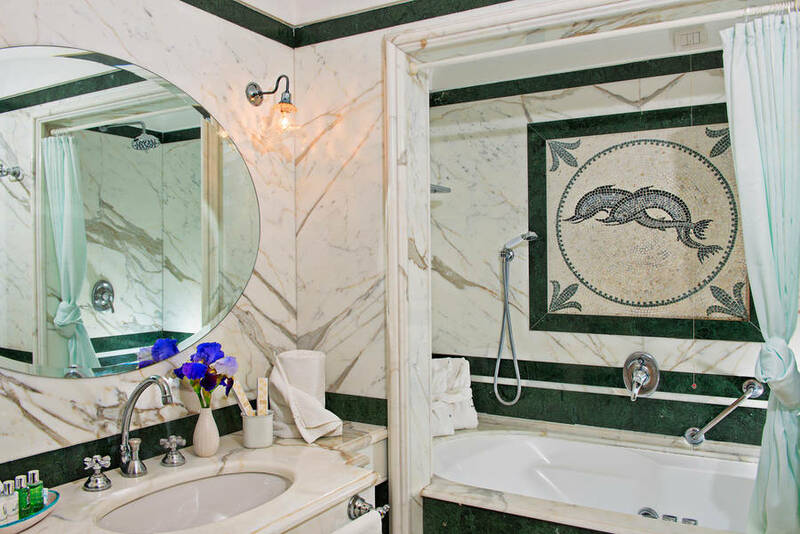 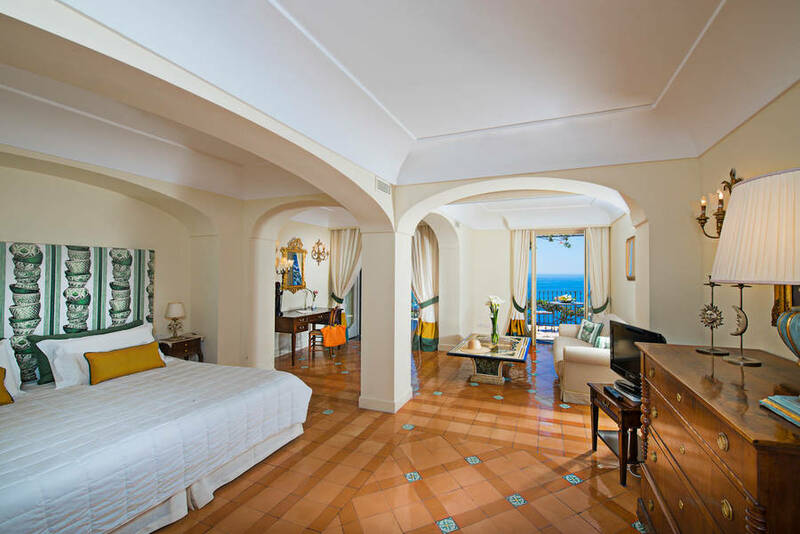 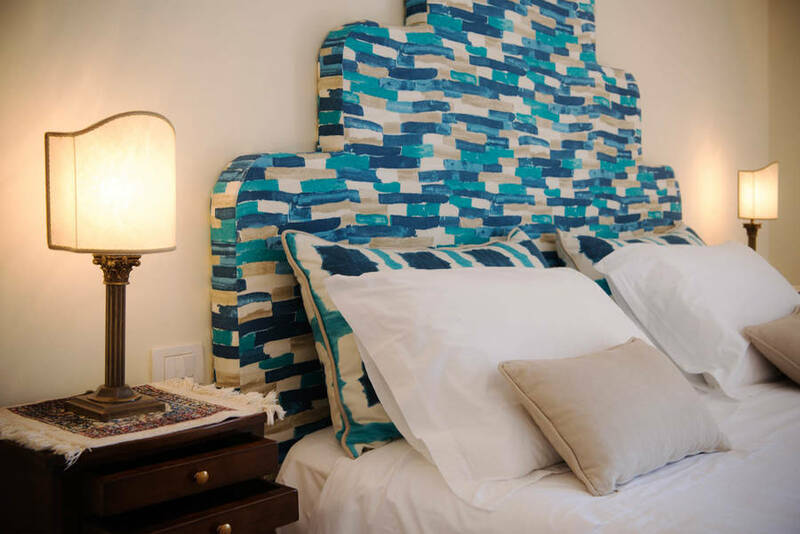 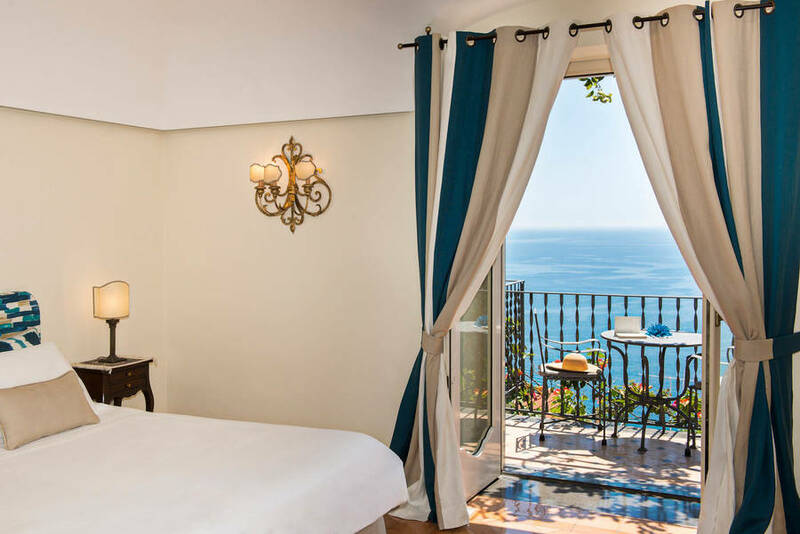 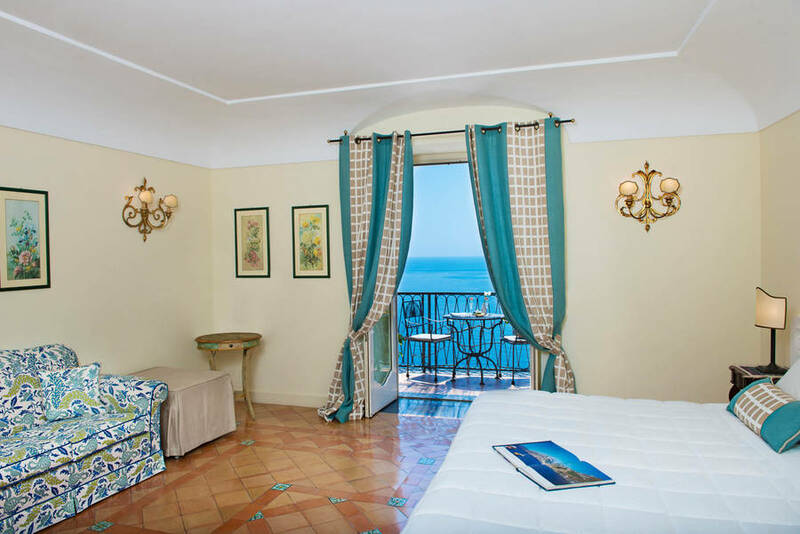 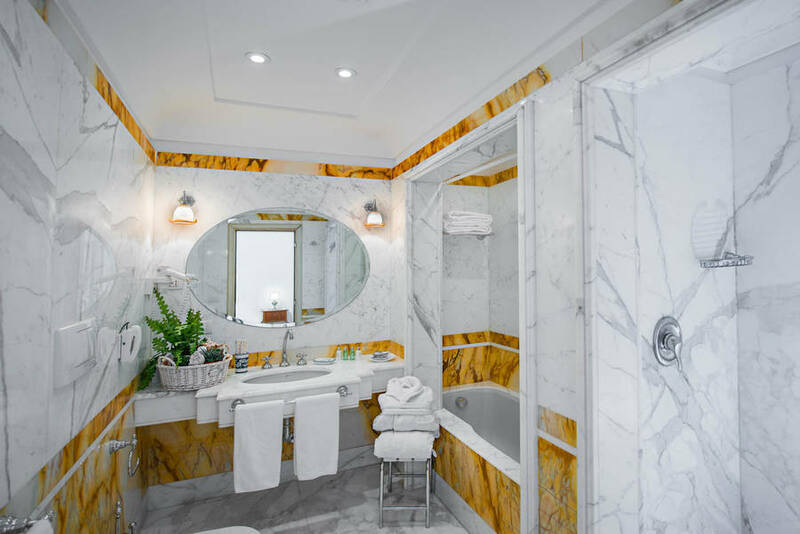 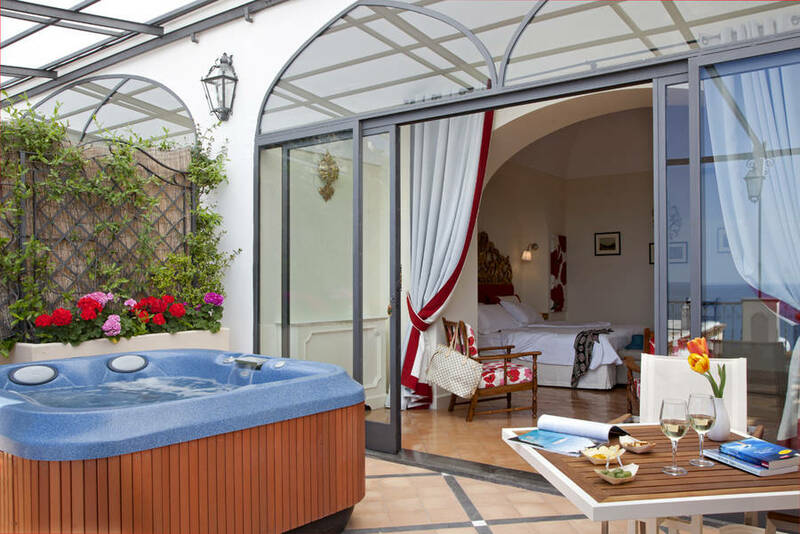 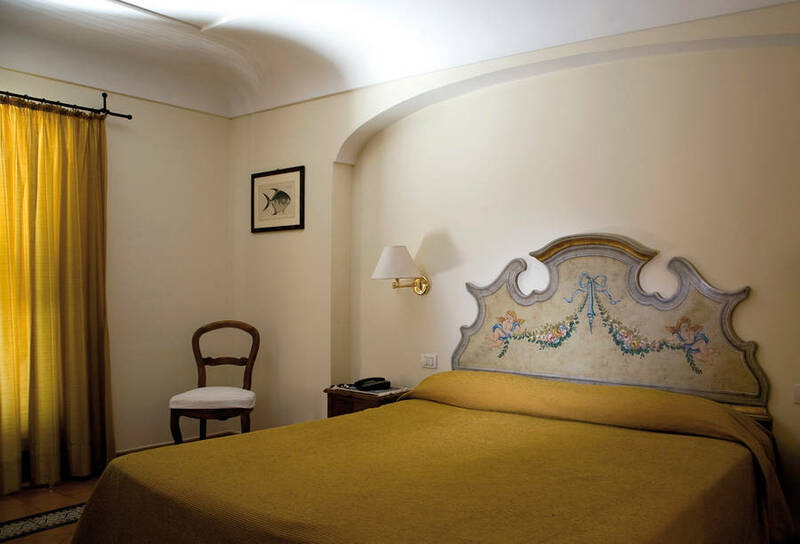 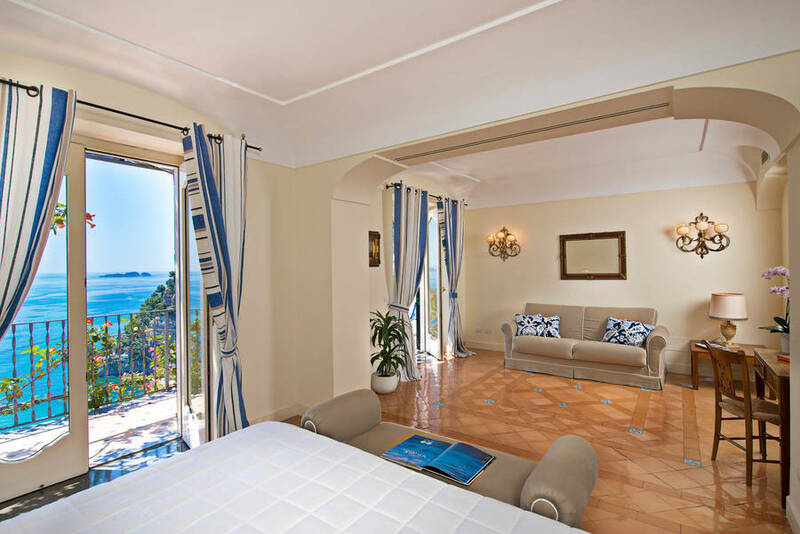 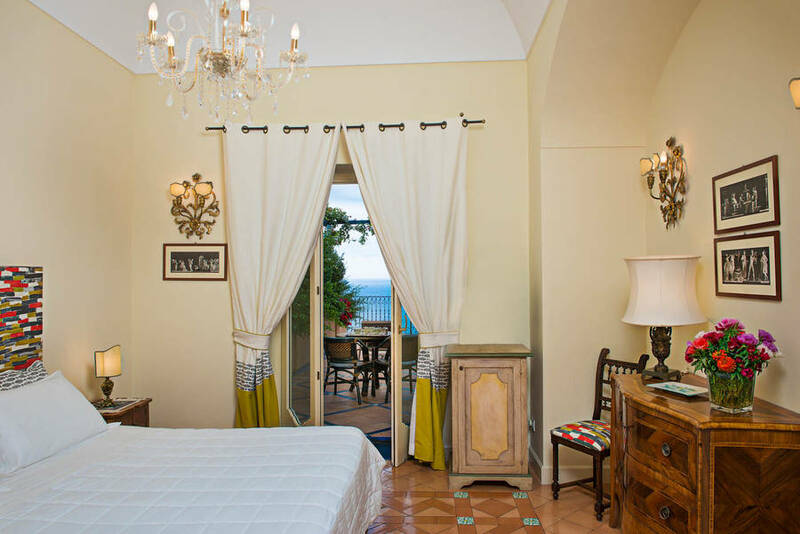 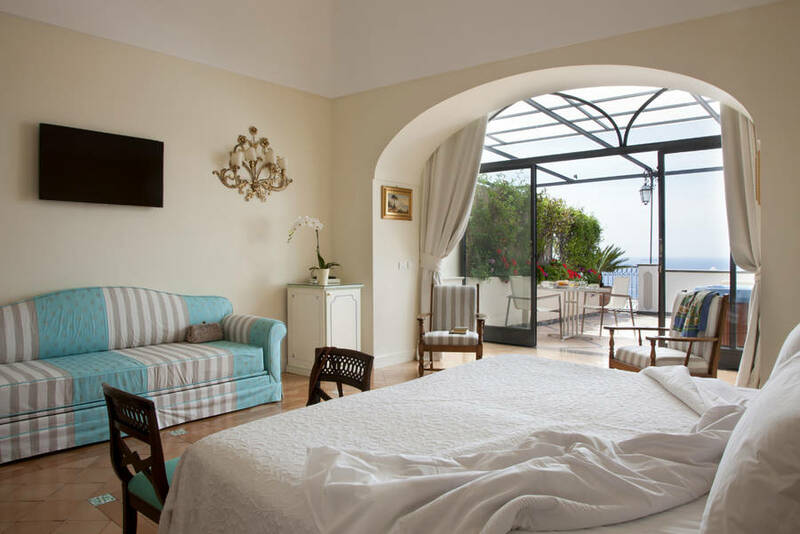 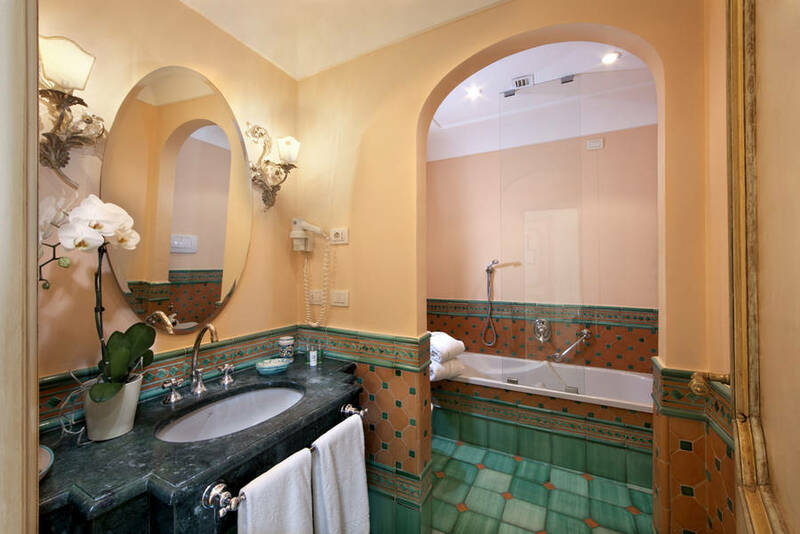 The epitome of Mediterranean elegance, Hotel Punta Regina's 18 spacious, light filled bedrooms feature a beautiful selection of artworks, floors tiled with hand-painted majolica, luxurious marble bathrooms and magnificent views of Positano or the sea. 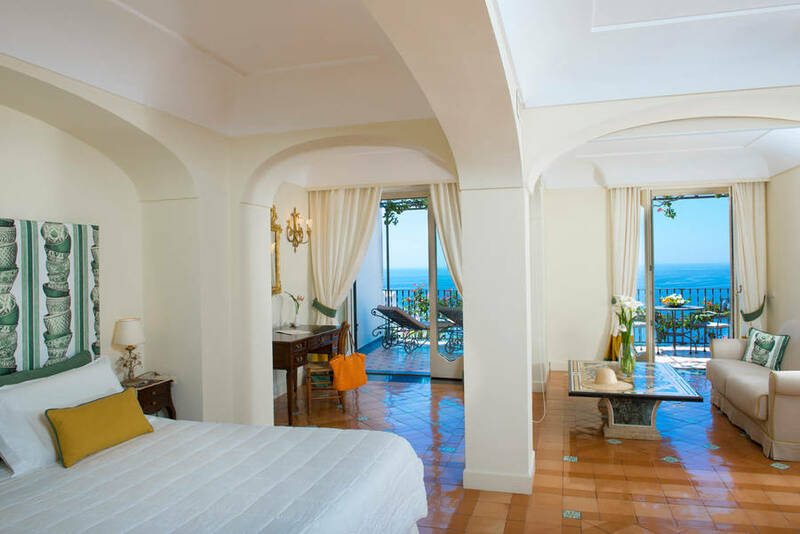 Honeymooners, or those simply looking for an additional touch of luxury, will love Punta Regina's sumptuous suites, each of which opens out on to its own private, sea view terrace furnished with romantic gazebo and Jacuzzi. 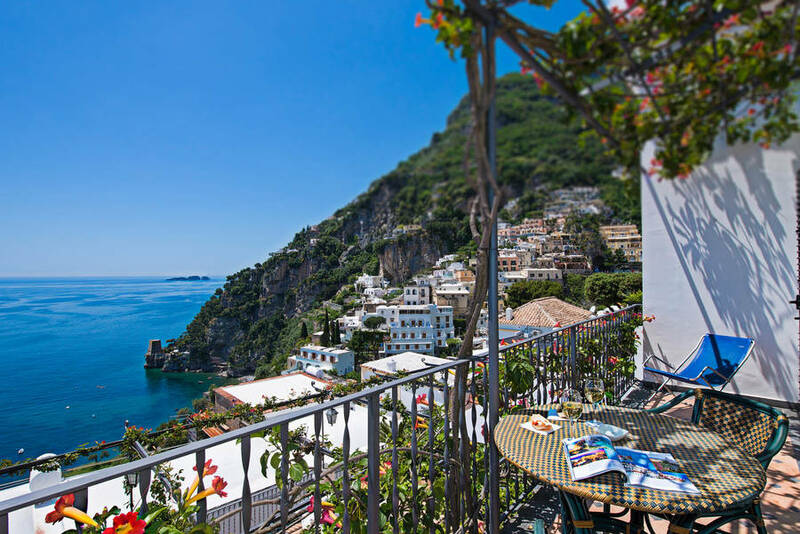 Yet more spectacular views of the sea and the town of Positano can be seen from Hotel Punta Regina's fourth floor terrace. 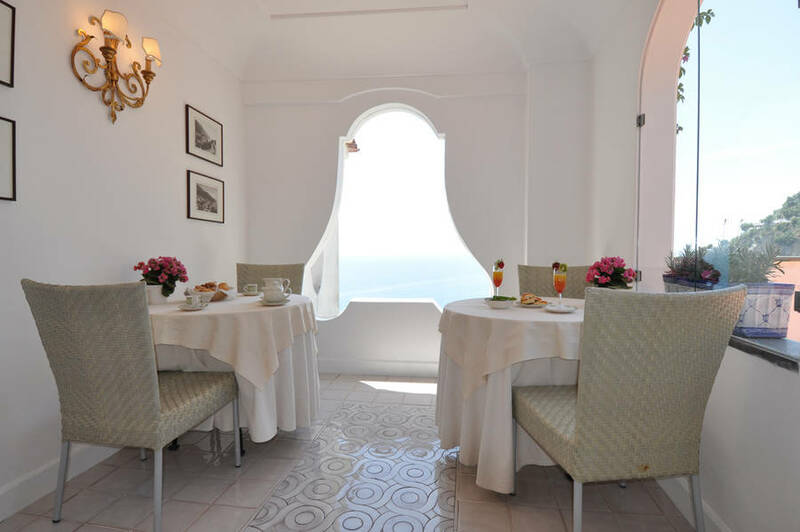 This is where a delicious breakfast of freshly baked breads and cakes, fresh fruit, cheeses and cold cuts is served each morning and where, at sunset, glamorous cocktail parties are hosted. 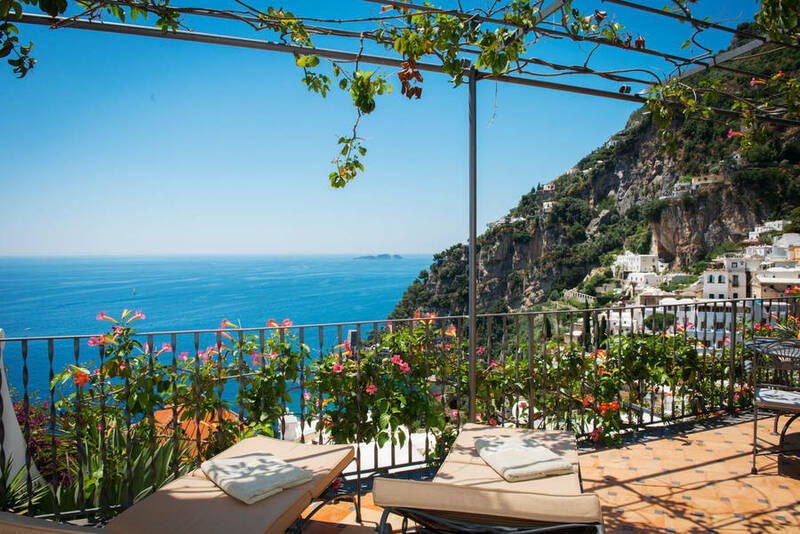 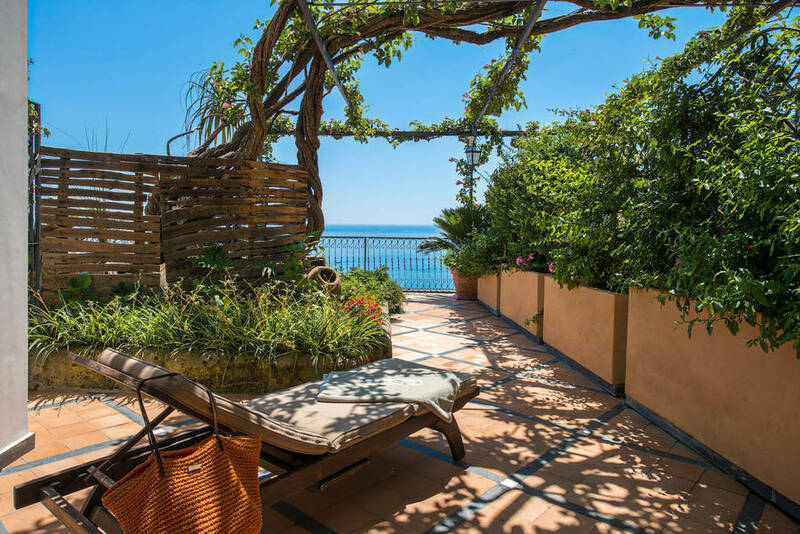 When not relaxing on the hotel's terraces, guests might easily be found sunbathing on one of Positano's fashionable beaches or shopping in the elegant boutiques which line the narrow streets of the historic center. 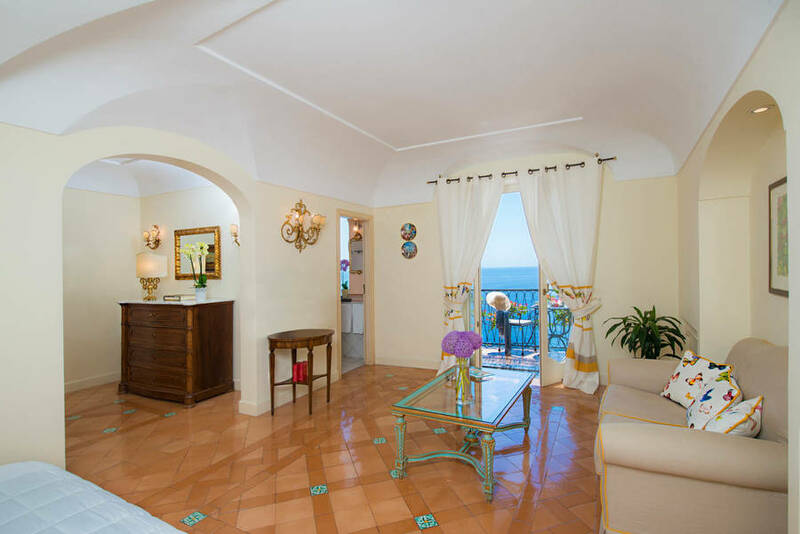 Reception staff will be pleased to organize guided tours and boat trips for those clients eager to explore the other towns on the Amalfi Coast. 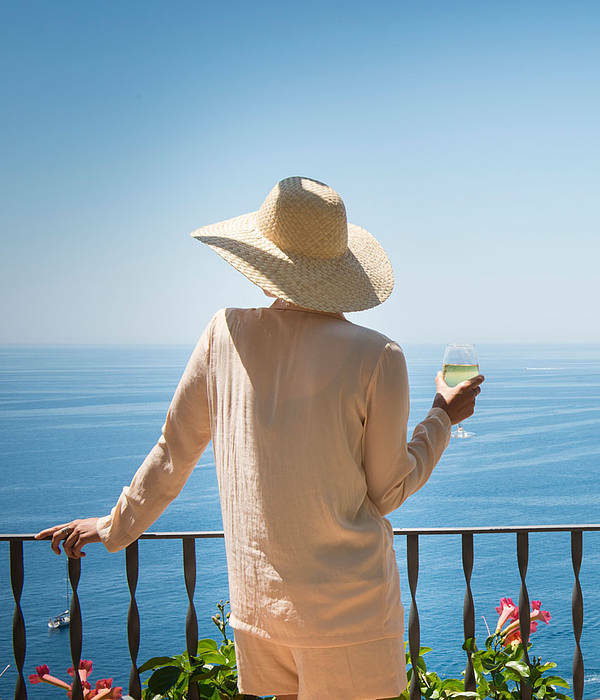 In the last 30 days 45 people have visited this page. 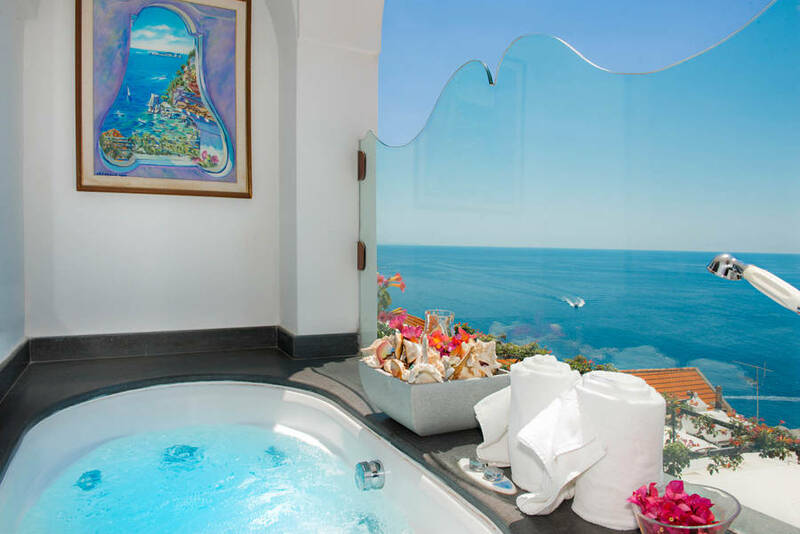 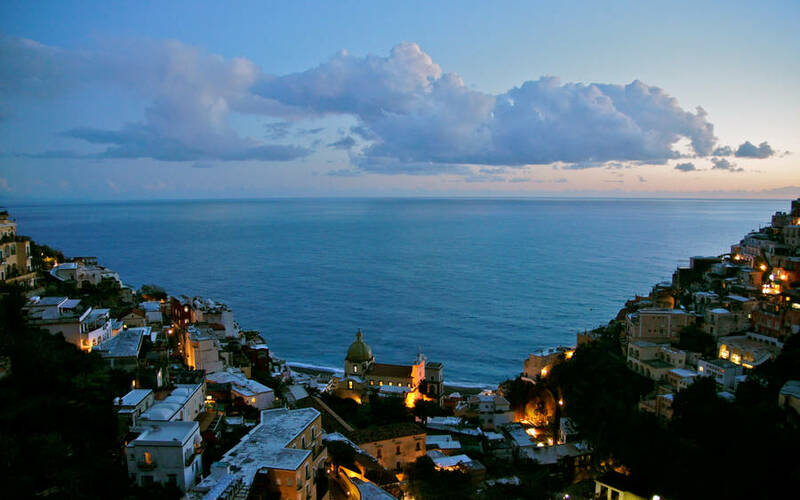 From its location in the highest part of the historic center of Positano, Hotel Punta Regina enjoys breathtakingly beautiful views of the sea. 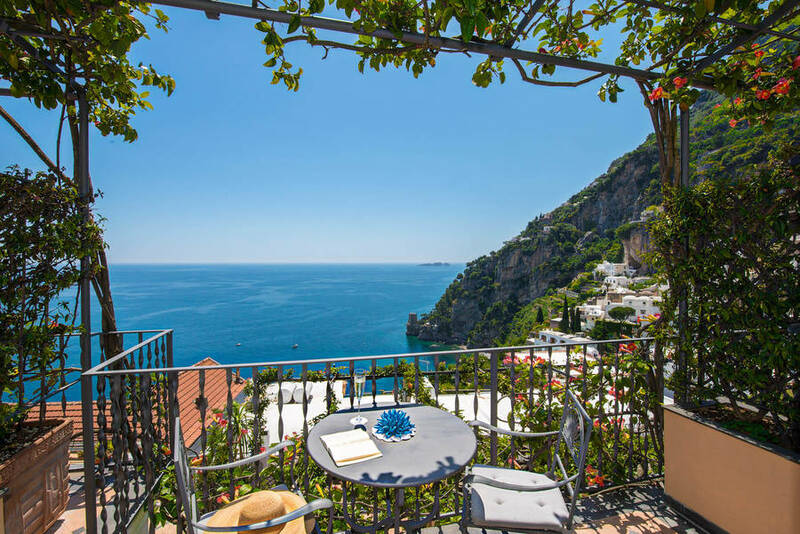 The town's Fornillo and Spiaggia Grande beaches are both within easy walking distance of the hotel, as is the maze of little lanes in which to find any number of elegant boutiques selling Positano's colorful beachwear and legendary made-to-measure sandals. 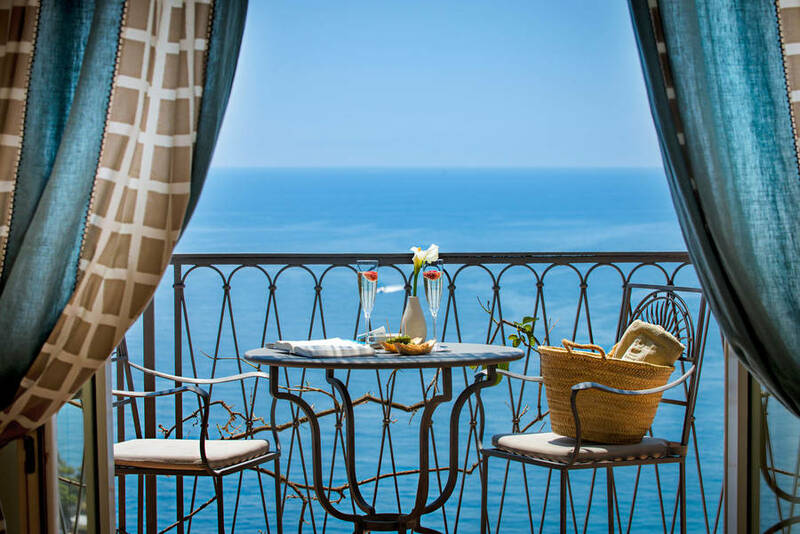 The towns of Amalfi and Ravello and the tiny fishing villages of Praiano, Conca dei Marini, Furore, Atrani, Maiori and Minori are all no more than a 30 minute drive away. 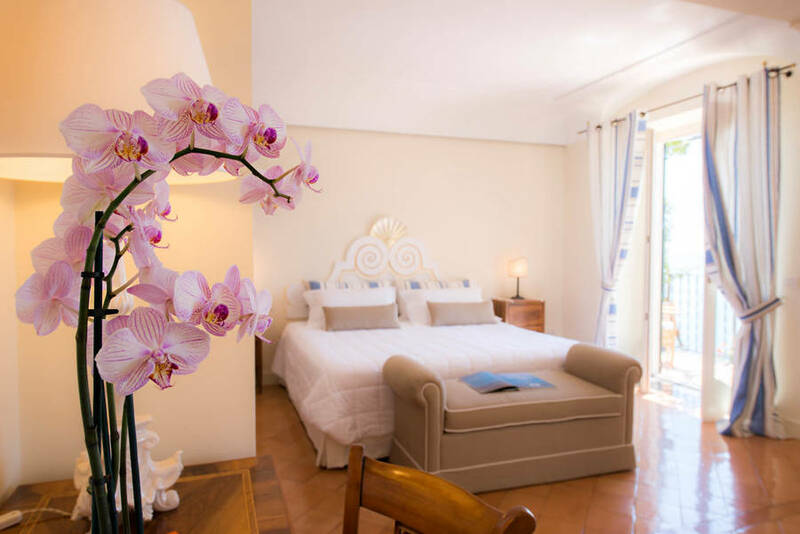 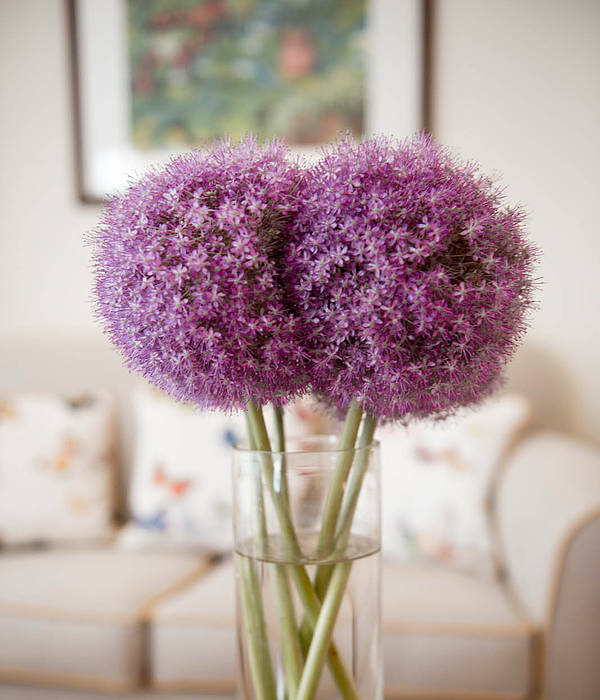 "Your staff is to be commended for both attitude and excellent service. 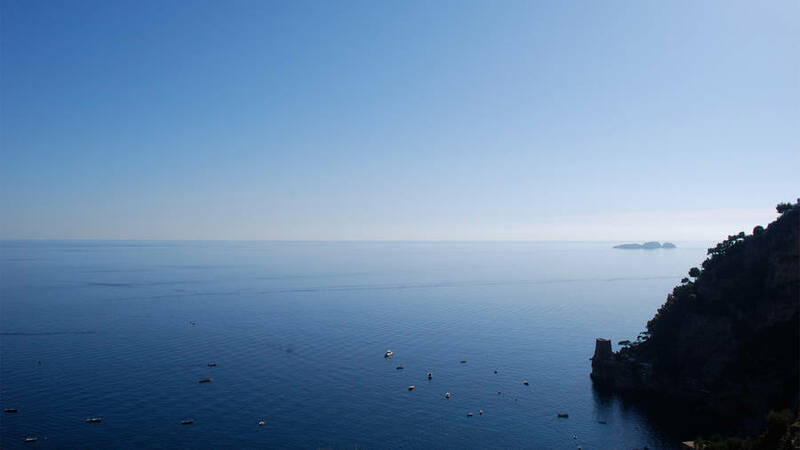 They made our visit a great experience"